I'm sure some of you PSP fans are well aware of this already, but for those of you who aren't: Gaijinworks, the publishing company founded by Victor Ireland of Working Designs fame, is considering releasing a physical (you know, with a case, manual and UMD) version of its latest title--the PSP dungeon-crawler, Class of Heroes 2--if it's able to pre-sell at least 2,500 copies within the next few days. 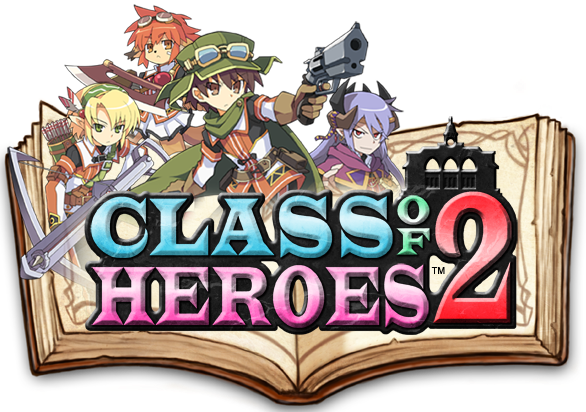 Should this pre-sale prove successful, by the way, boxed copies of Class of Heroes 2--which will include a digital download code for the game as well a UMD--will cost interested parties just $34.99. Should you also want to a copy of the physical edition of Class of Heroes 2, head over to gaijinworks.com ASAP and fill out the form that can be found at the bottom of the page. I think they're almost there, actually. Last night they made it past the 1,700 mark, I think. As for feeling a bit left out: I understand. That said, you can't have ever system or game, right? Dungeon crawler, huh? Is it like Diablo? No, more like Etrian Odyssey or Wizardry. Think first-person dungeon-crawler. Are you a PSP fan/owner, BTW? I need another Wizardry clone like I need a hole in the head. Really have been having a hard time getting into Elminage. But I will admit the casual mode (as well as the gorgeous graphics) in the Etrian Odyssey IV demo are helping it go down. Maybe you can convince me Class of Heroes 2 is worthy after you play it. Well, I don't think anyone can be faulted for not being able to get into Elminage, Steve. It's a rather plodding, difficult, awkward game, don't you think? I'm much more interested in EO IV at this point. I really can't imagine that one won't grab me by the balls and toss me around a bit. As for Class of Heroes 2: should this, er, project work out, I'll definitely be getting a physical copy and of course I'll let you and everyone else know what I think of it. That said, I probably won't pick it up if it winds up being a digital-only release. So, fingers crossed!